Victor Aviation Service, Inc. home of “Power by Victor” Engines has been approved to partner with Precision Airmotive LLC. 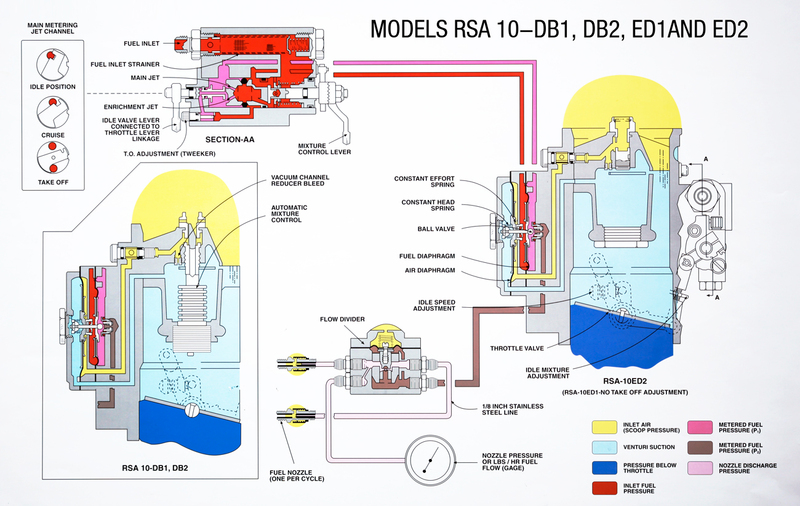 in the support of their RSA fuel injection systems in the United States. 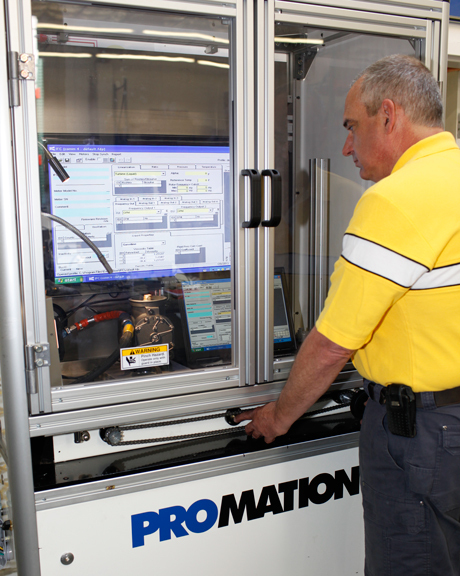 With this partnership, Victor Aviation now has the capability to perform warranty repairs, general repairs and overhauls per Precision’s overhaul manuals, Service bulletins and Service information. Every fuel injection system made today requires that a calibrated device be used to accurately deliver a precise amount of fuel to each cylinder at the exact instant fuel is needed for combustion. 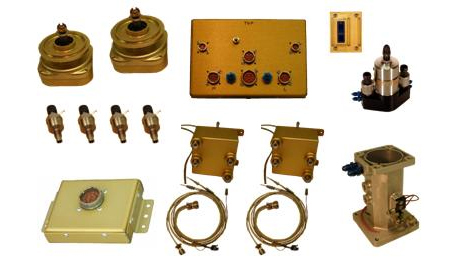 In order to assure the finest quality control and fuel system calibration, Victor Aviation uses unique state-of-the-art computerized digital fuel flow equipment that measures fuel flow with twin - turbine electronic fuel flow meters. This assures that your fuel system will be tested to the highest degree of accuracy. 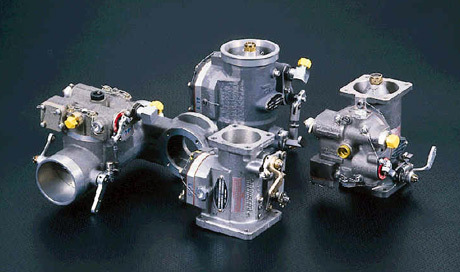 Fuel injection system overhaul and testing services available at Victor Aviation include fuel injection servos, fuel pumps, fuel flow dividers, fuel metering units, fuel lines and fuel nozzles. 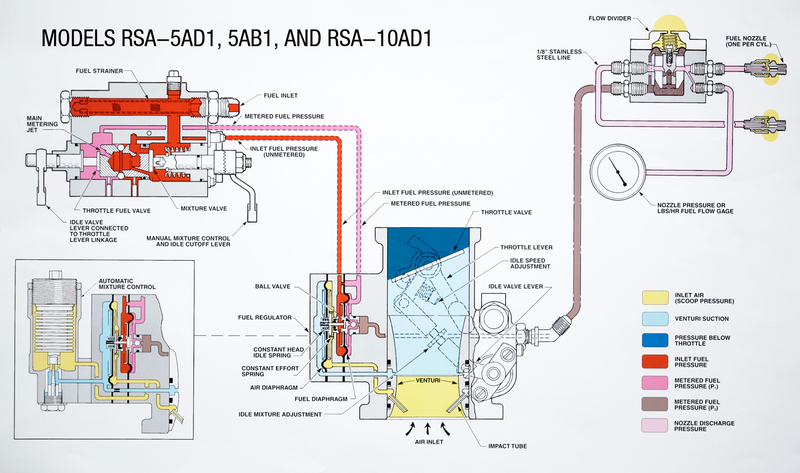 Precision Airmotive RSA fuel injection systems are also available outright or on an exchange basis. 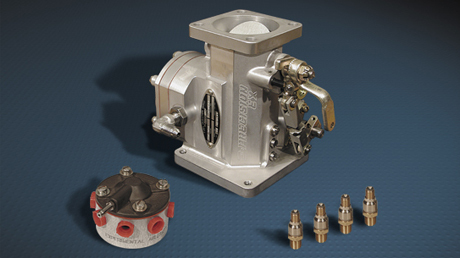 With the desire to maintain a simplistic design virtually all fuel injected engines made for general aviation utilize a continuous flow fuel injection system. This means that fuel, under a given pressure, is sent to various components and finally delivered as metered pressure to the cylinder. Last in line for this delivery is the fuel nozzle. Fuel nozzles are generally made of brass housings with either brass or stainless steel inserts. These inserts act as calibrated orifices and can vary in hole diameter to meet the flow requirement specified for the engine. Nozzles installed in normally aspirated engines are equipped with a stainless steel air bleed screen and shroud. This screen serves to filter the air as it enters the nozzle body. 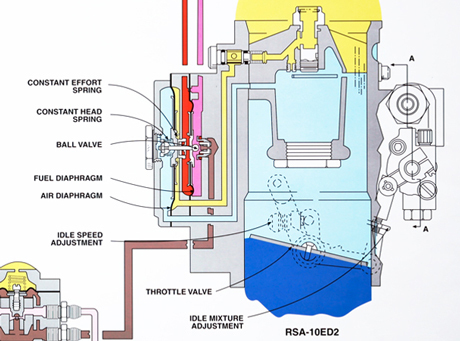 The resulting mixing of fuel with air helps atomize the fuel charge as it enters the intake port. Turbocharged engines do not incorporate this screen assembly but are equipped with a sealed “upper deck” shroud that allows the “Hiflow” nozzle to mix turbo deck air with the fuel for better fuel atomization. 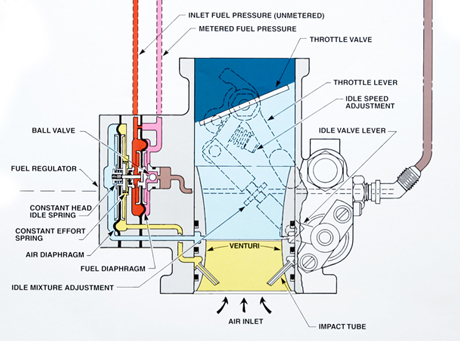 Because fuel flows through the system in a continuous stream, regardless of piston position or stroke, the nozzle is placed upstream of the intake valve. Regardless of the design or style of nozzle, proper operation is critical to good engine performance. On engines where fuel is injected directly into the combustion chamber, the resulting spray pattern has a huge impact on the burn rate of the charge and the usefulness of the expanding flame-front. 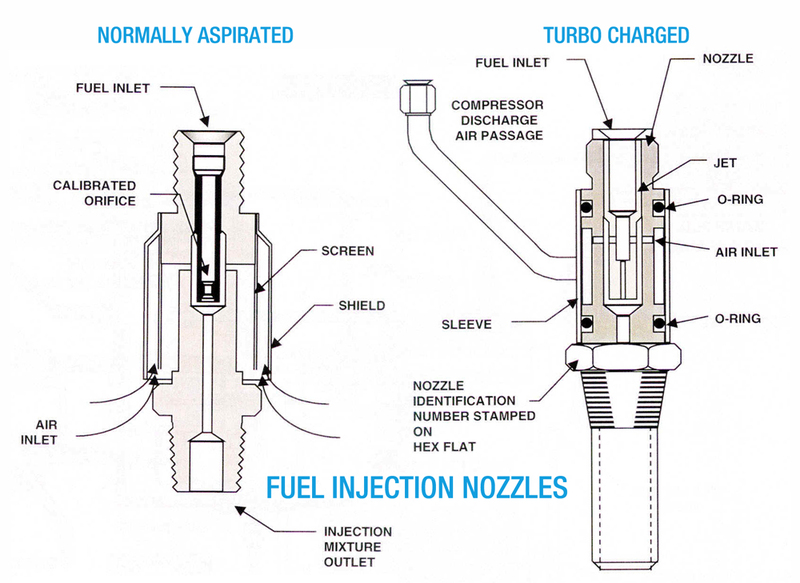 Fuel injected in this manner is better utilized if the entire combustion chamber is saturated with an atomized charge of fuel and air. However, the need for a consistent spray pattern — even from our single-point nozzle, remains vitally important. 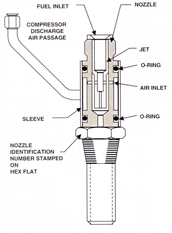 The spray pattern at the nozzle is determined by the hole shape, size, fuel pressure, and the amount of ambient or deck pressure air mixed at the nozzle. A good spray pattern will provide maximum atomization and smooth, consistent engine operation. Conversely, a nozzle with a dirty shroud or deteriorated upper deck shroud seals will not provide the same spray pattern as a clean unit. Likewise, if the calibrated orifice has become damaged due to rough handling or if the inside diameter of the orifice has been scratched or chipped by insertion of safety wire or some other equally offensive material, the spray pattern will never be right — despite the cleanliness of the screen or the condition of the shroud seals. Victor Aviation tests fuel injection nozzle spray patterns and flow characteristics and matches the fuel nozzles to the engine's cylinders for enhanced fuel system efficiency and best engine power on "Power-By-Victor" Engines. to tank line or purge valve.